This acclaimed eulogy to the thousands of victims of 9/11 sums up the horror and lasting human damage of that day. 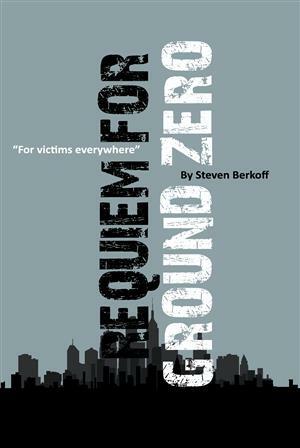 Berkoff recasts the terrorist strike as a procession of powerful and resonant images – a window cleaner wipes the eyes of the World Trade Centre – the better to see its impending doom. On September 11, 2001, 19 militants associated with the Islamic extremist group Al-Qaeda hijacked four airliners and carried out suicide attacks against targets in the United States. Two of the planes were flown into the twin towers of the World Trade Centre in New York City, a third plane hit the Pentagon just outside Washington, D.C., and the fourth plane crashed in a field in Pennsylvania. Often referred to as 9/11, the attacks resulted in extensive death and destruction, triggering major U.S. initiatives to combat terrorism and defining the presidency of George W. Bush. Over 3,000 people were killed during the attacks in New York City and Washington, D.C., including more than 400 police officers and firefighters. The 100 verses of this epic poem were first performed by the author – regarded by many as the world’s greatest living theatre practitioner – as a solo work in progress at the Edinburgh Fringe in 2002, with staff and members of Stage2 in the audience. It was then premiered, with Berkoff’s support, by Stage2 in January 2004. Now young people from the West Midlands’ diverse cultures reprise the piece to demonstrate that, much as it was written as a response to events in the past – it is just as much a plea for the future.